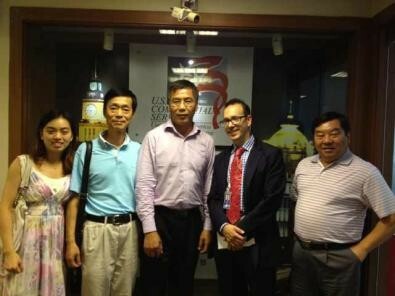 The president of ZCCA Mr. Dai visited the U.S. Department of Commerce Shanghai Division on Aug. 26th with his visiting group. Mr. David Averne, the delegate from the U.S. Department of Commerce Shanghai Division, warmly welcomed ZCCA for the discussion. During the meeting, Mr. Dai introduced things of ZCCA and purposes for coming to Mr. David Averne, hoping China and the U.S. could cooperate better in business.